NEST is a complete martial arts club management solution that covers all aspects of the business with features including a responsive website, mobile attendance, financial reports, customizable marketing materials, direct debit and fee collection, communications and more. The solution also provides organizations with expert business support for social media and SEO management, new student lead generation, and business consultancy. NEST includes a business management system (myMA) which helps track various aspects of business performance. myMA is accessible via any desktop and mobile device, and data is seamlessly synchronized in real time across all myMA products including the website and mobile app, ensuring that all information is up to date. Features include student gradings, an email document manager, lesson management, personnel management, student records, and trend analytics. Once a visitor books a lesson online, they are sent a confirmation email and text message to confirm their appointment, and are automatically added to the prospects list in myMA. Users will also receive a confirmation email to notify them of the new booking. Additional automated text reminders are sent to prospects to help further reduce the risk of ‘no shows’. Direct debit and fee collection features allow organizations to collect payments by cash and standing orders, while all queries and fee administration tasks and are handled by NEST’s customer service team. Any updates on agreements, cancellations, suspensions and reactivations will be sent to owners via email, and customer fees are transferred to the club’s bank account automatically. You need to have a strong at home internet connection. 6% - 8% of the student fee (depending on the size and revenue of the business). Eliminate time-consuming tasks of business administration with NEST's business management software (myMA) and keep everything in one place. Monitor all aspects of the business and plan for success with detailed reports on trends, and more. Automate confirmation and reminder messages to send to prospects when booking, as well as 24 hours before their first lesson to reduce 'no shows'. NEST's martial arts marketing experts help club owners with marketing strategies and offer guidance on how to improve social media engagement and their website SEO. 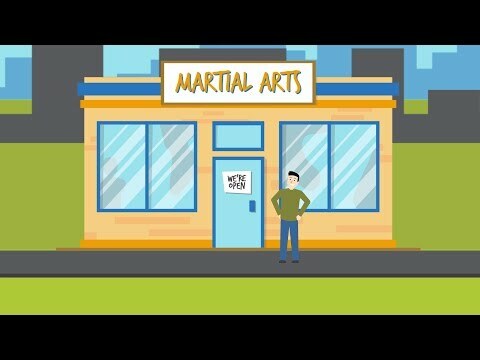 NEST's services have been designed specifically for martial arts business owners and aid in creating a business plan to work towards the club's unique goals. Below are some frequently asked questions for NEST. Q. What type of pricing plans does NEST offer? Q. Who are the typical users of NEST? Q. What languages does NEST support? Q. Does NEST support mobile devices? Q. Does NEST offer an API? No, NEST does not have an API available. Q. What other apps does NEST integrate with? Q. What level of support does NEST offer?